Rodama: a blog of 18th century & Revolutionary French trivia: Marseilles, 1720: the arrival of a plague ship. I know the sufferings and death that thousands of people have gone through, but can it be directly my fault? What am I reproached with? Didn't I merely carry out my mission in a proper manner? Letter of Jean-Baptiste Chataud, Captain of the Grand-Saint-Antoine. In 1720 the last outbreak of bubonic plague in Europe devastated the port of Marseilles and its hinterland; estimates of the death toll vary, but in probability at least 40,000 died in Marseilles itself and a further 90,000 in the rest of Provence out of a total population of 400,000. In 1996 the wreck of the Grand-Saint-Antoine, the merchant ship which had brought plague to the city, was rediscovered in the sands off the rocky Île Jarre where it had been set fire to and sunk. 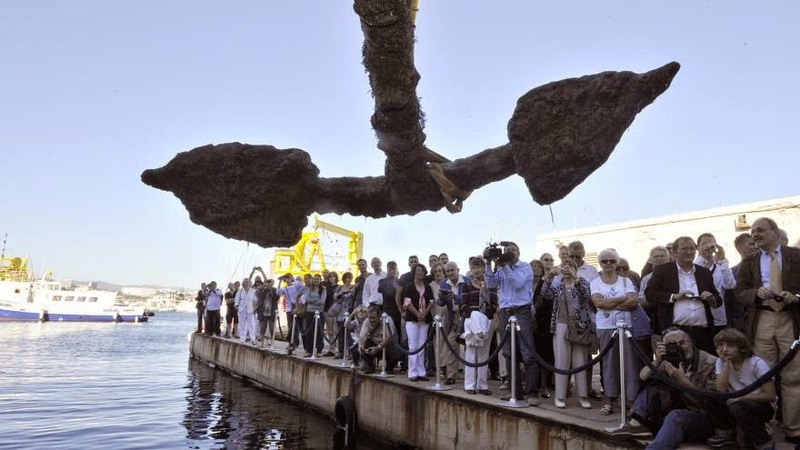 Five seasons of underwater excavations took place on the charred and buried wreck, culminating in September 2012 in the raising of the ship's anchor, which is now restored and soon to form the centrepiece of an exhibition in the newly refurbished museum in Marseilles. 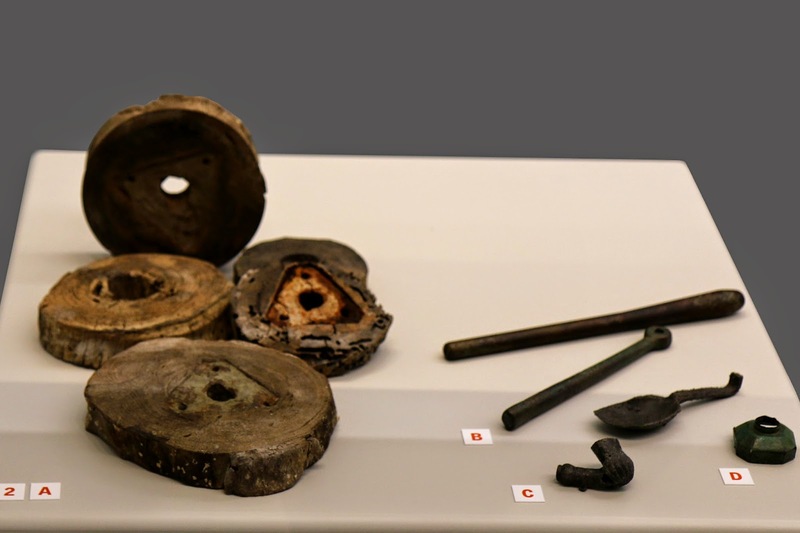 Michel Goury, who led the excavations, followed up his work with almost thirty years of research and in April 2013 published a biography of the ship's captain Jean-Baptiste Chataud, which contains many new details of the circumstances surrounding the outbreak of plague. I don't have access to this book, but some of Michel Goury's findings can be gleaned from a TV documentary in which he appears,"The plague of 1720: was Marseilles sacrificed? ", which was broadcast in December 2012 in the popular "Shadow of doubt" ("L'ombre d'un doute") series. [7:00] Following the strict protocols laid down, Chataud anchored off the island of Pomègues in the harbour mouth and disembarked to present his bill-of-health to the Bureau de Santé on the mainland. A "clean" bill-of-health allowed the ship to proceed to the Nouvelles Infirmeries, an enclosed lazaretto built by Colbert in 1668, where the cargo could be unloaded and sold at the end of the month's quarantine. Had the ship been placed under interdict for plague, Chataud would have been forced to anchor off the isolated Île Jarre and the merchandise destroyed. [8:42] There could have been little doubt in anyone's mind that the Grand-Saint-Antoine was a dangerous ship. In course of voyage it had docked twice, in Port Said and Tripoli, and twice received a clean bill of health. Yet its cargo had passed through plague-ridden Damascus and, although the mechanism was not understood, it was well known that textiles were a vector for disease. A Turkish passenger picked up in Tripoli had died, followed by the seven others, including the ship's surgeon It later came to light later that Chataud had kept himself in isolation in the stern of the vessel, well aware these were plague victims. In principle these deaths should have been sufficient to send the ship to the Île Jarre irrespective of any clean bill-of-health. [9:20] Chataud was nonetheless allowed to proceed to the Infirmeries which, although isolated by a wall, was on the mainland of Marseilles. Within a few days, three stevedores were dead and the contagion began its inexorable spread out into the poorer districts of the town It was not until 26th July that the plague was officially acknowledged and measures put in place. On 31st July the Parlement of Aix decreed that no-one could leave or enter the city. The Grand-Saint-Antoine was belatedly taken to the Île Jarre, where the sailors were abandoned for six months to survive as well as they could, and the ship itself finally scuppered in September. [22: 44] Who, then, was responsible for allowing a plague ship into Marseilles? 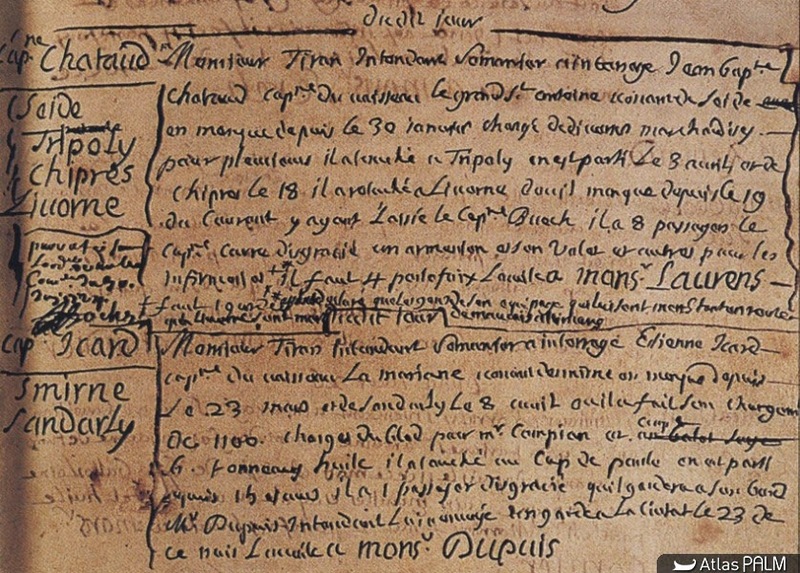 Michel Goury shows the register of the Bureau de Santé in the Archives Départementales des Bouches-du-Rhône, where Chataud's declaration has been deliberately falsified with the information that his men had died as a result of food poisoning. [24:38] The evident motivation was to safeguard the merchandise. The cargo, some 700 bales of silk and fine cottons represented an immense fortune, estimated at 300,000 livres - 9 million euros in today's money. Time was of the essence if the textiles were to be sold at the foire de Beaucaire at end of July. 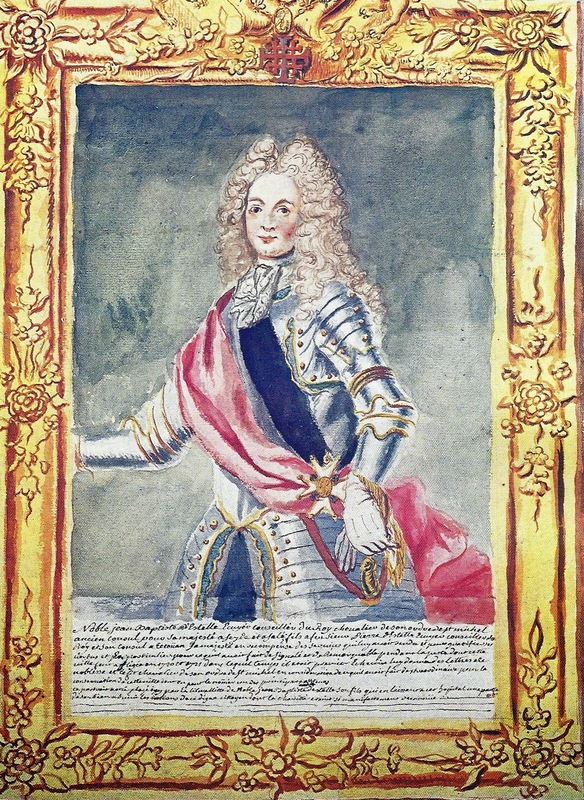 The owners included no less a person than Jean-Baptiste Estelle, the premier échevin of the town. Estelle, who had been consul in Tripoli, knew full well the risk he was running, as did the members of the Bureau de Santé. Although there is no direct evidence of their collusion, an archive letter to the Regent shows that they were well aware of the plague ravaging Palestine and Syria at this time and were holding more frequent meetings as a result. [41:02] Before arriving in Marseilles Chataud had anchored at Le Brusc close to Toulon, clearly to take advice. Seven letters in the Archives Nationales from Benoît de Maillet to the Ministre de la Marine confirm that Estelle and other "interested parties" arrived at dawn, and were in secret conference with Chataud for more than an hour. As a result the ship returned to Livorno in Italy where the deaths were accepted as fever and Chataud given a final clean bill-of-health. [40:05] No-one was ever convicted of bringing plague to Marseilles. On 8th September Chataud was imprisoned in the Château d'If, accused of having hidden the presence of the plague aboard his ship. On 25th September an inquiry exonerated him, although he remained confined until August 1723. Far from being implicated, Estelle was ennobled for his (undoubtedly heroic) conduct in the course of the epidemic. The final conclusion of Michel Goury? No one person was responsible; the true culprit, he says, was greed.